The rim design is painted but not inscribed. This style, a row of connected triangles accented with dots, is apparently one of Francisco’s favorites. 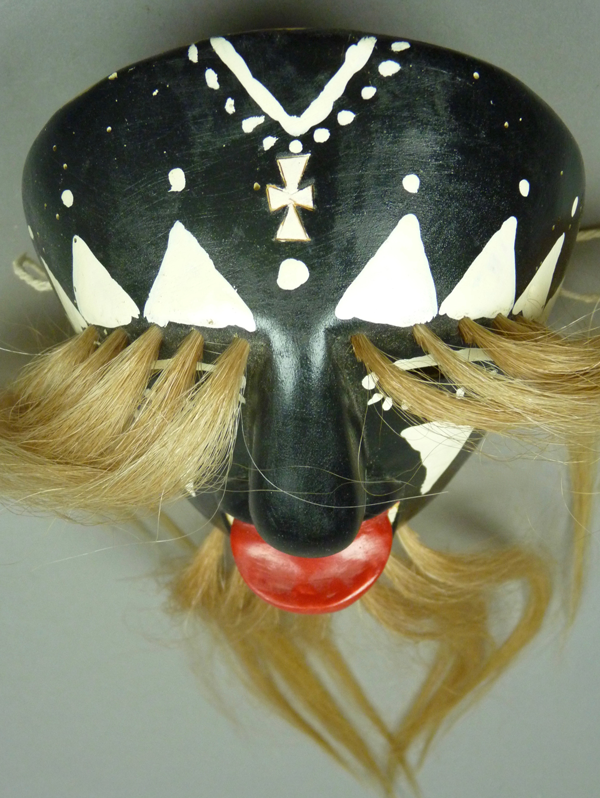 The forehead cross on Francisco’s masks is usually outlined by inscribed lines as in this case, or recessed (gouged) and rarely simply painted. 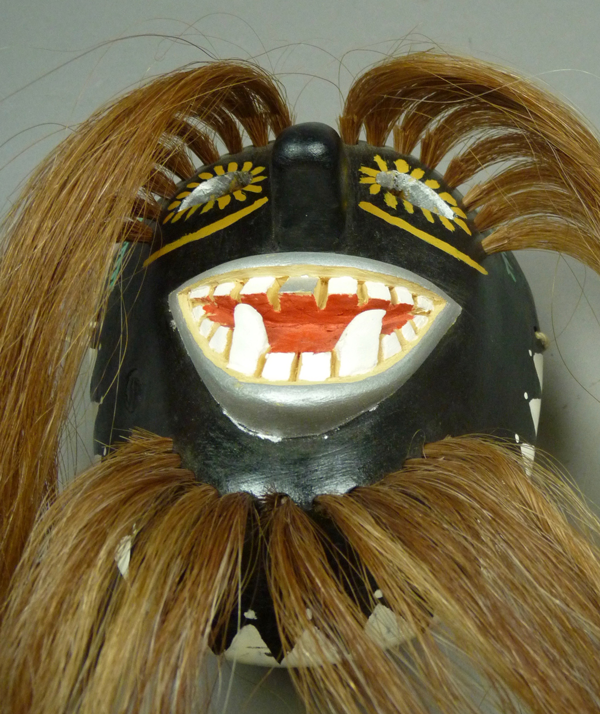 According to Tom Kolaz, there was a limited period of time when Francisco carved his masks with these dramatic fangs. 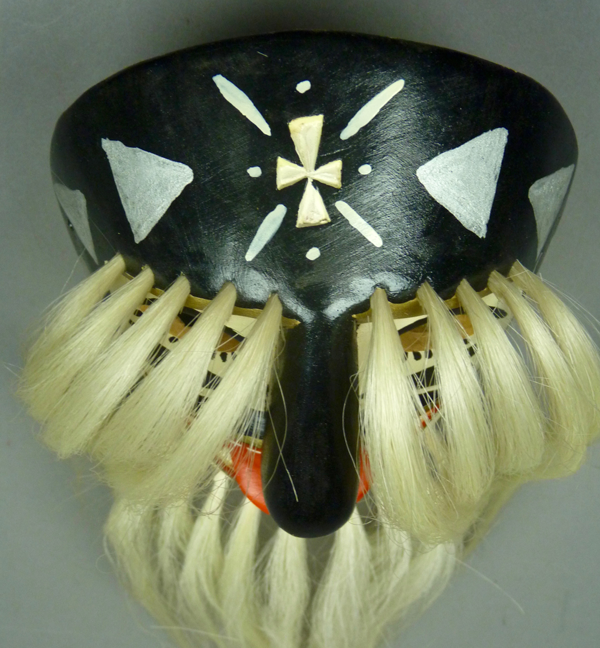 The rim design continues around the chin. 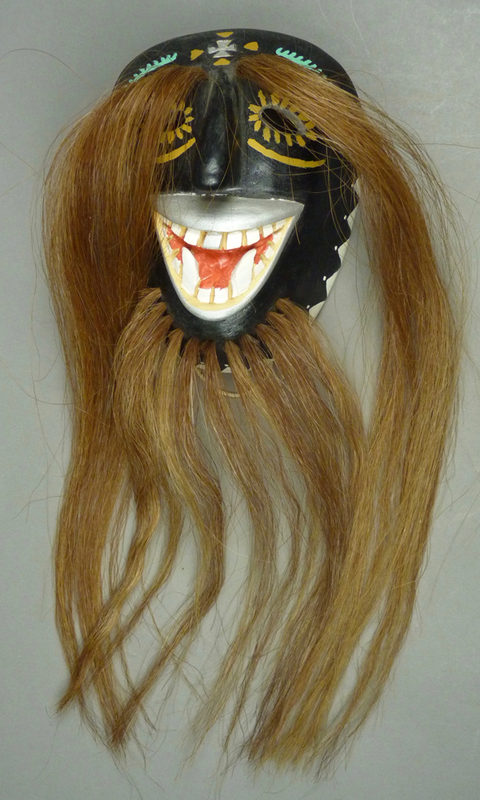 This mask is 7 inches tall, 5¼ inches wide, and 3 inches deep. 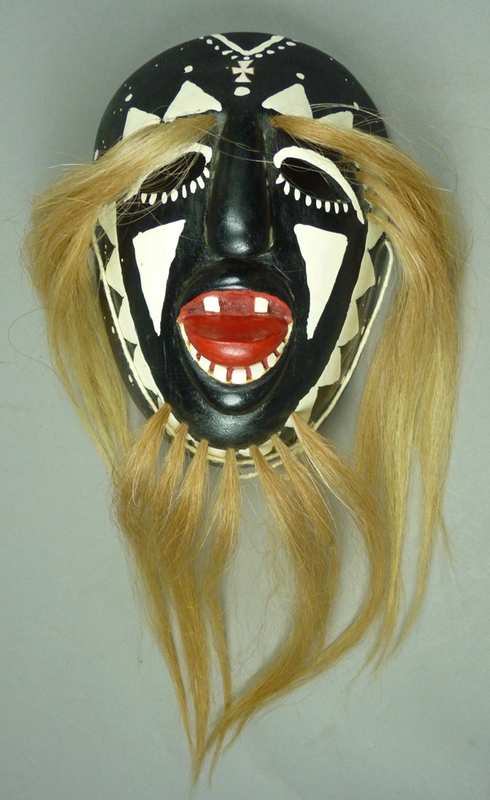 This mask was only briefly danced. 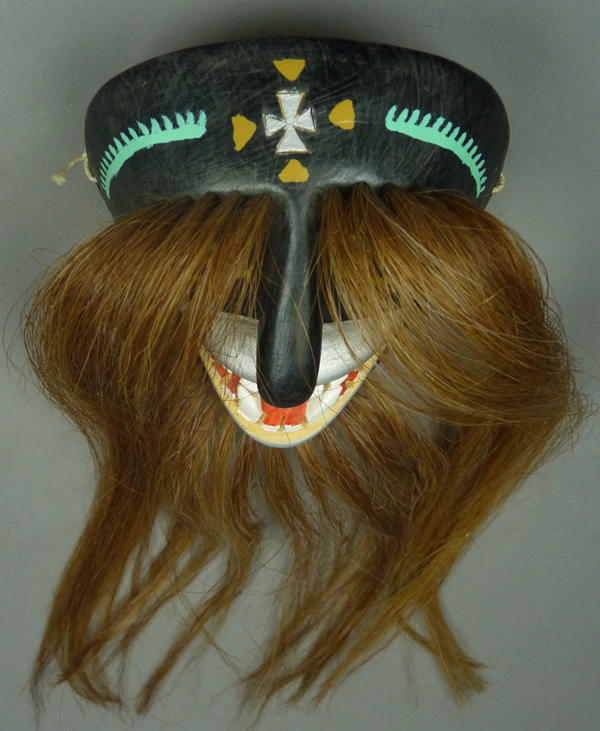 The second mask is in the Apache style, with the face of a North American Indian in war paint. 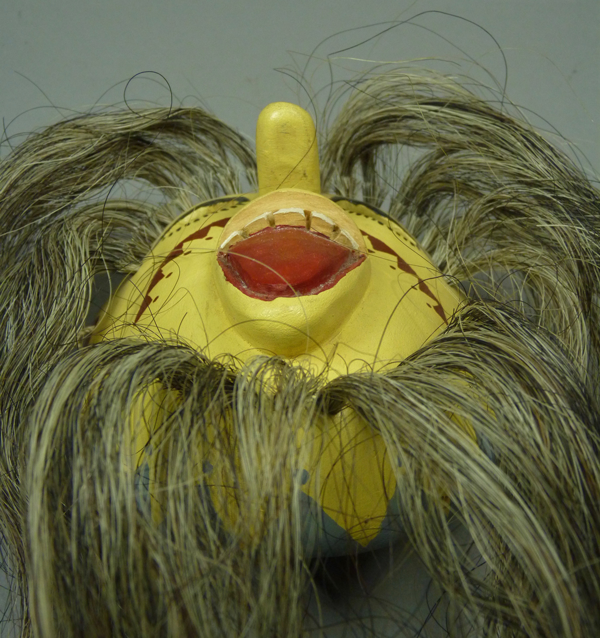 This one was purchased in California in the 1980s, and I bought it on EBay in 2005. 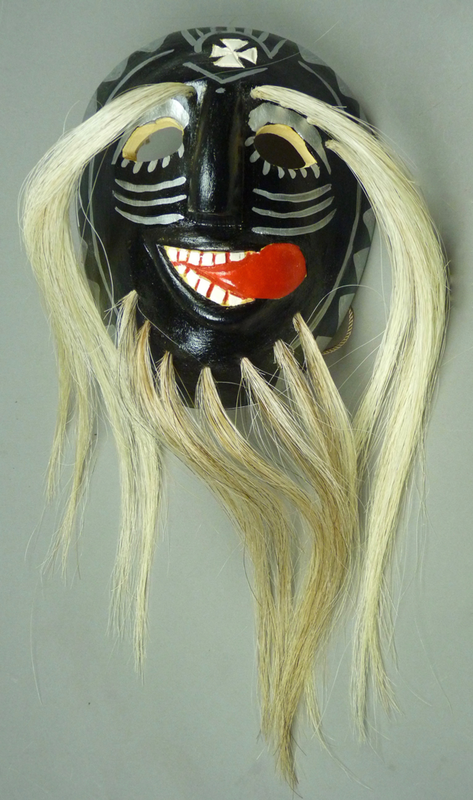 This mask and the next three all have extended tongues. The rim design shows up again as face paint. There is the usual forehead cross, outlined by inscribed lines. 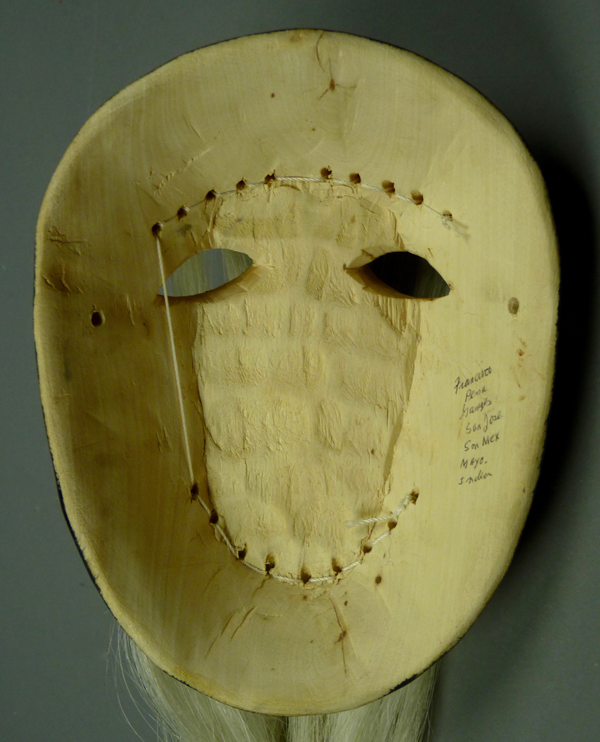 This mask is 6½ inches tall, 5 inches wide, and 3 inches deep. There is only mild staining from use. 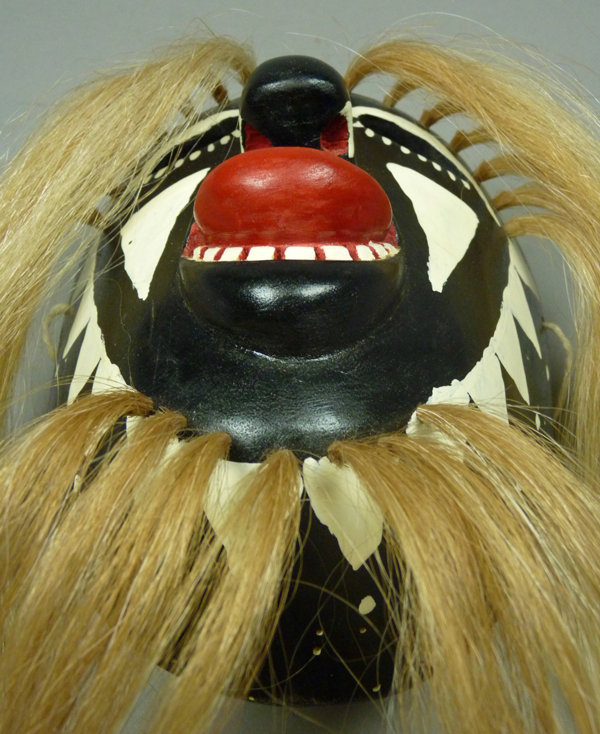 The third mask has an unusual tongue. 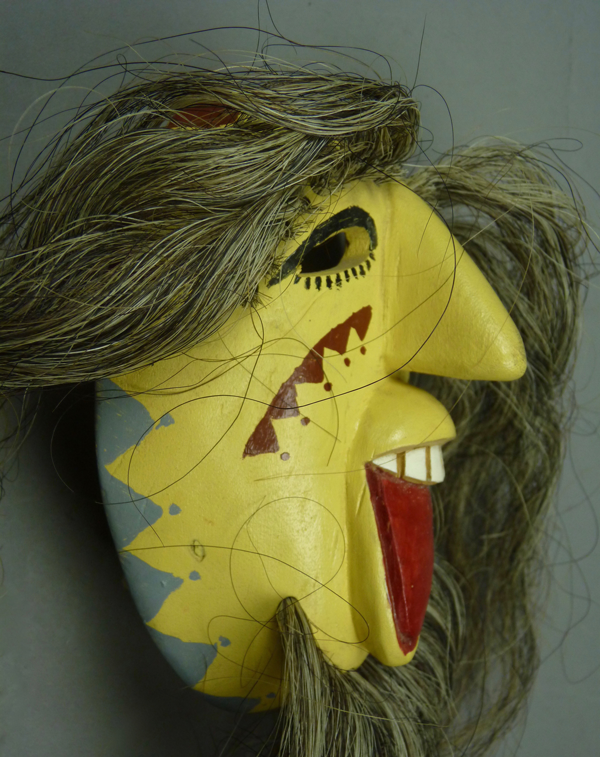 I bought this mask from Tom Kolaz in 2007. 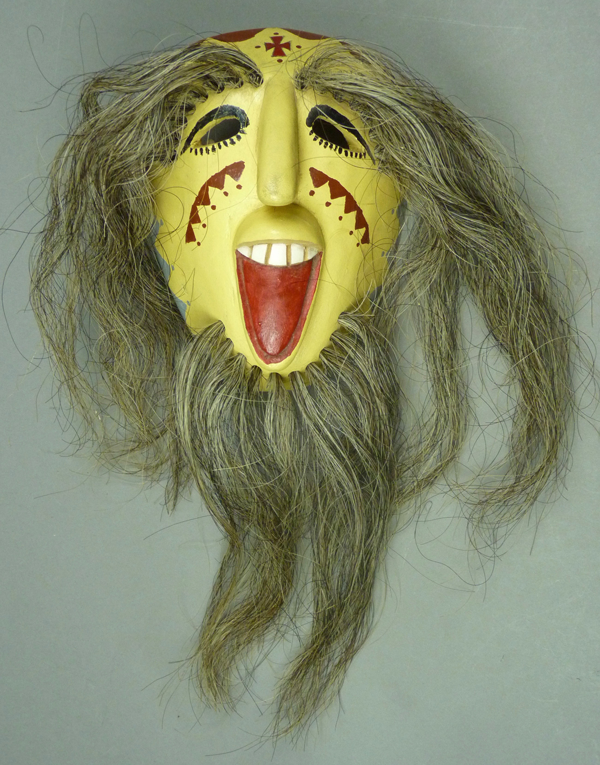 He had bought it from a Moro (Pascola dance manager), who had obtained this mask for use in a fiesta, but sold it to Tom prior to actual use. 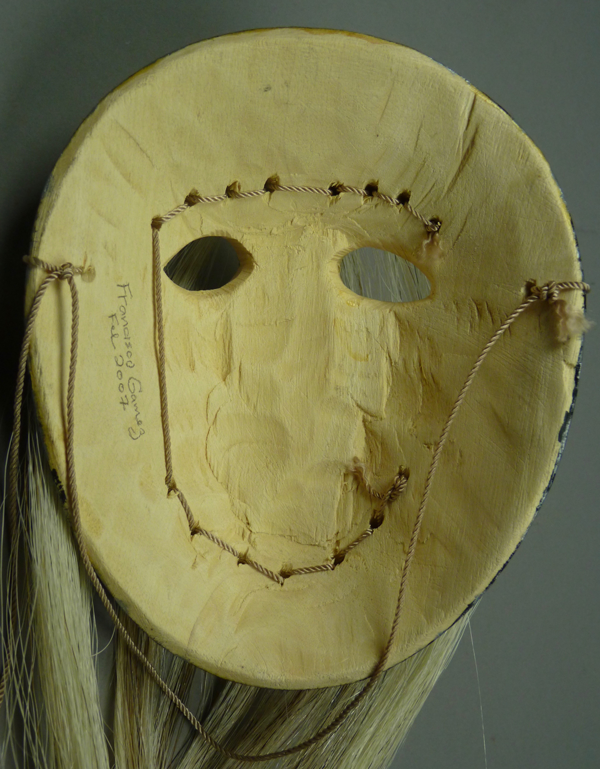 This mask is typical of Francisco’s style. 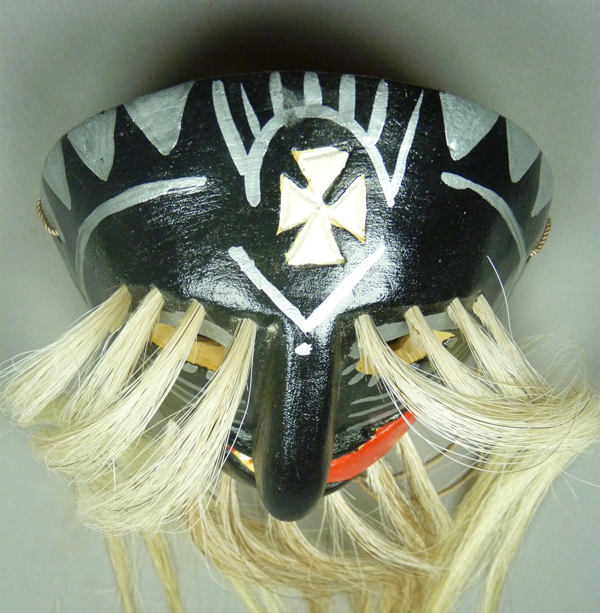 The forehead cross is outlined with inscribed lines. This tongue was only carved in low relief. 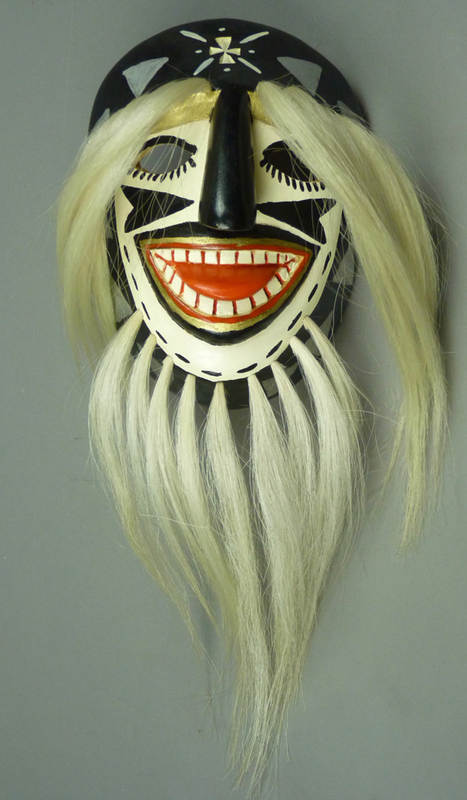 This mask is 7 inches tall, 5¾ inches wide, and 3 inches deep. 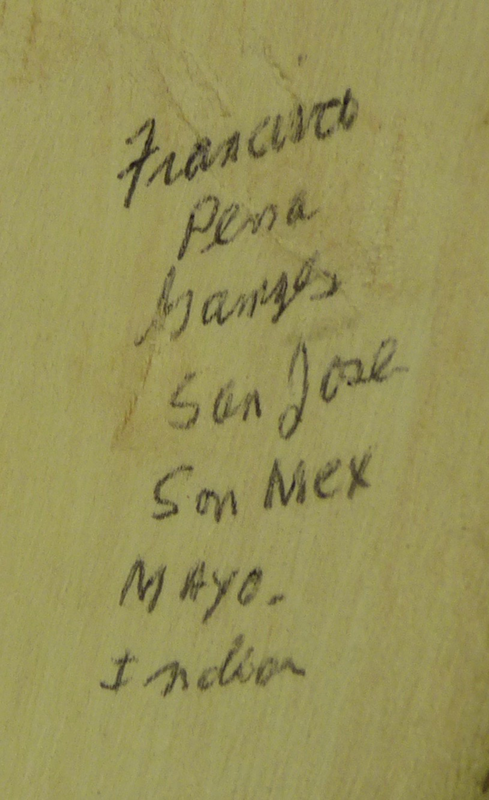 This is my handwriting, noting the carver’s name and my date of acquisition (2007). There is no staining from use. 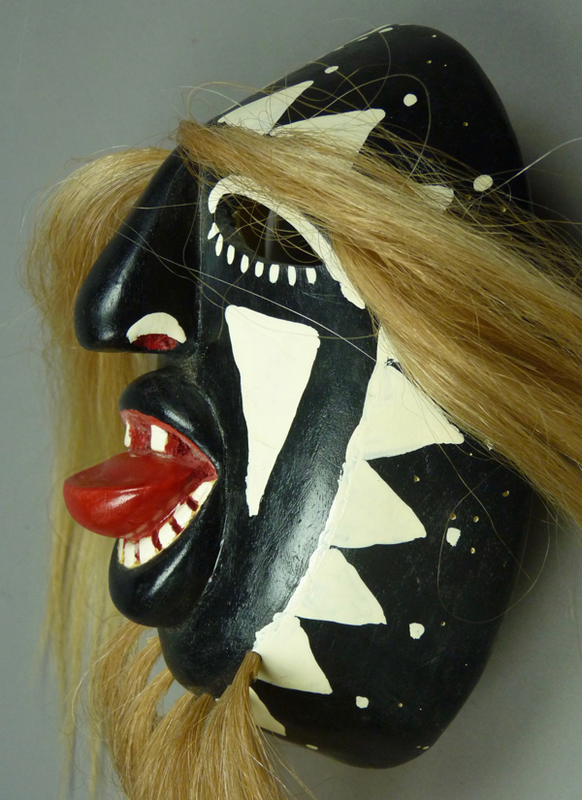 The last two masks had prominent tongues, and this tongue is magnificent. 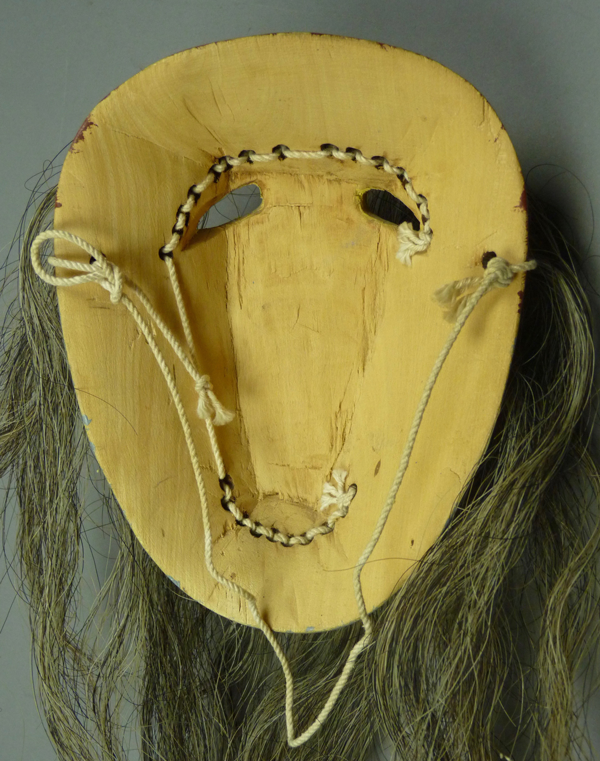 Tom collected this mask from a dancer in 1989. 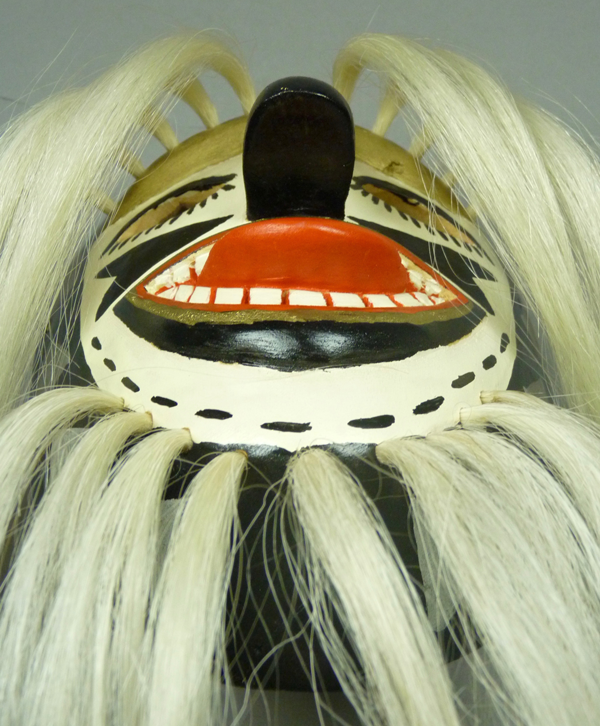 There are just two front teeth on the upper jaw. The tongue is really terrific. 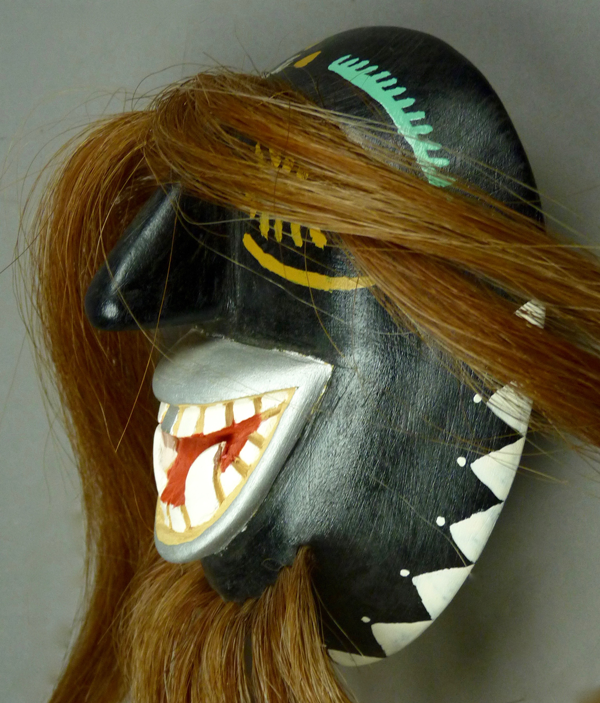 This mask is 7¾ inches tall, 5¼ inches wide, and 2¾ inches deep. 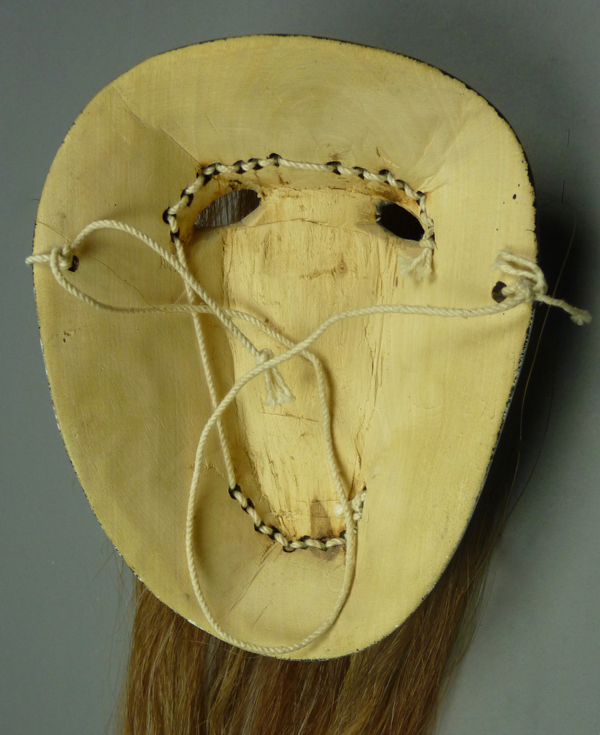 This mask has a little more staining from use than the others. The last of this group, which came to me without provenance, also has an extended tongue. 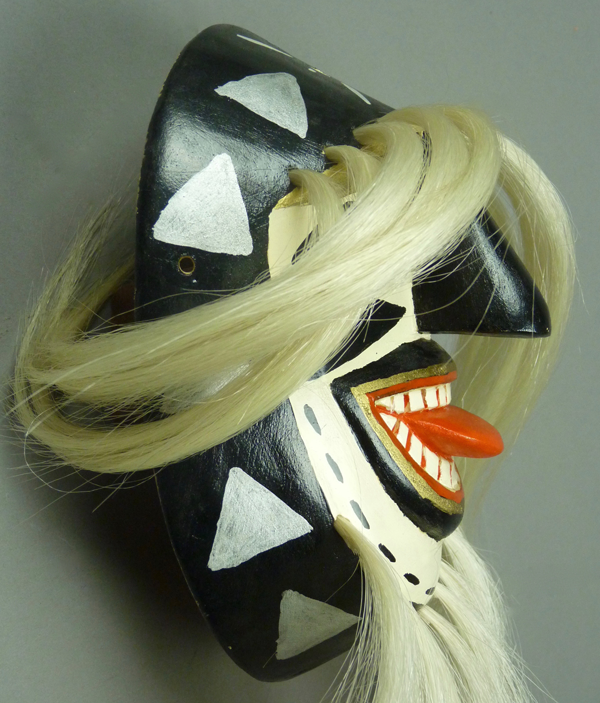 By now we have seen a number of other masks by Francisco in this style, and apparently dating from the mid-1980s. 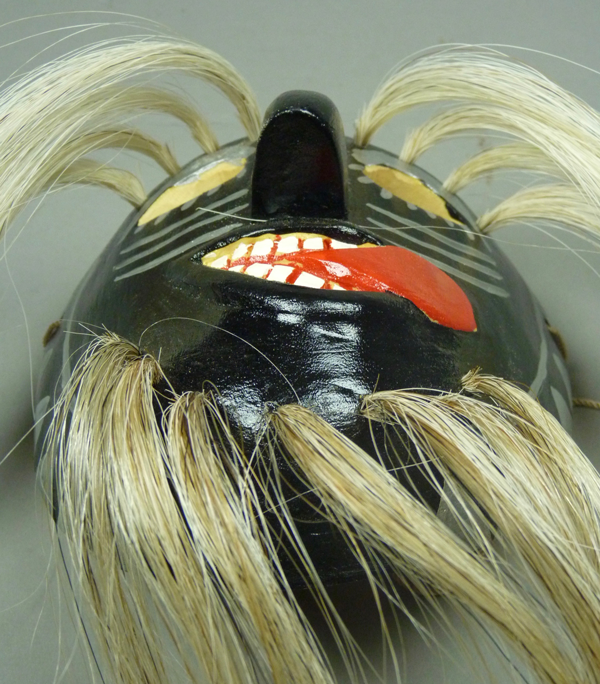 All of the decoration was painted freehand, without inscribed outlines. 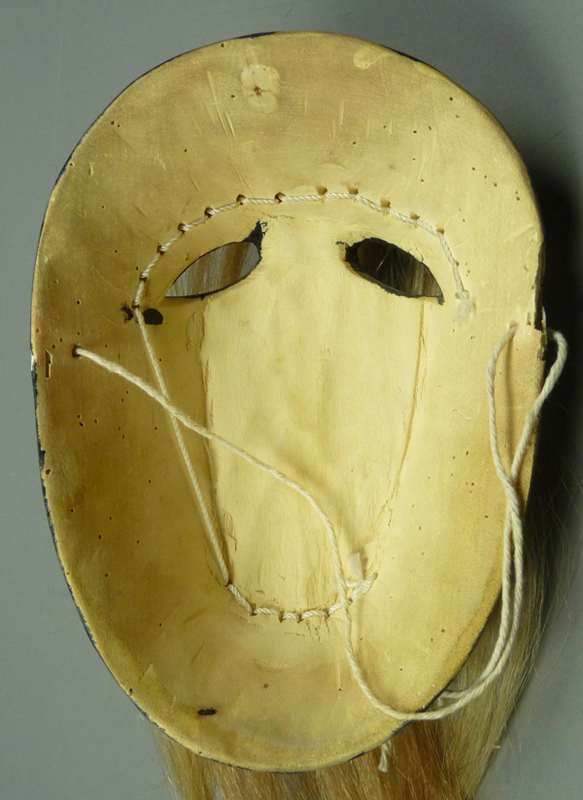 The most consistent feature of Francisco’s masks is the nose—seen one, seen them all. 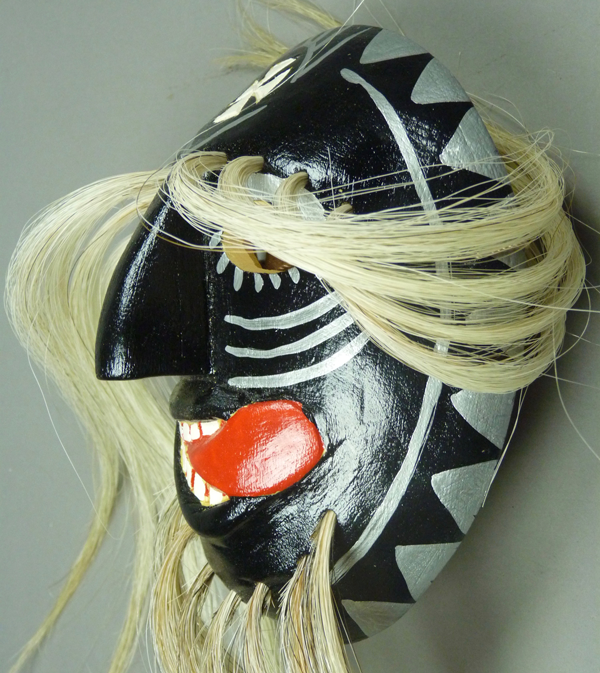 This mask is 7¼ inches tall, 5¼ inches wide, and 3¼ inches deep. The staining from use is mild. Someone carefully wrote an unusually detailed account of the provenance on the back. 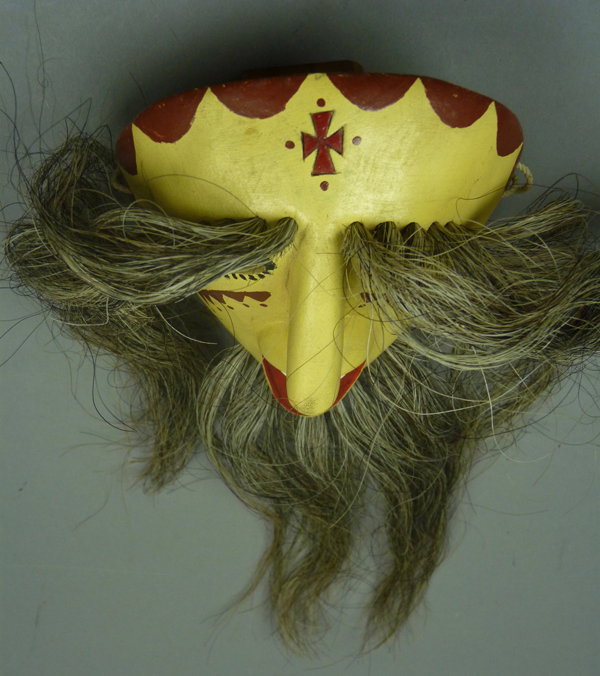 Next week we will examine a pair of Rio Mayo Pascola masks that have relief carved snakes on their faces.